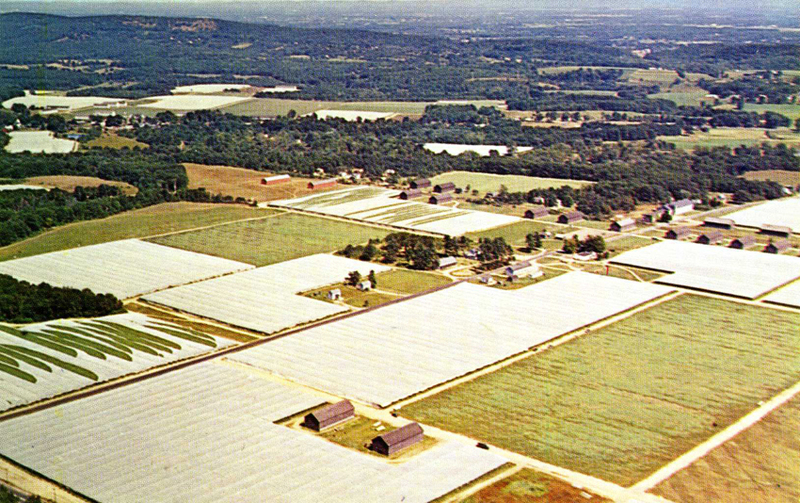 Description: Color postcard offers an aerial view of some of the extensive acreage of shade grown tobacco fields in the Connecticut River Valley. White netting hung on wire frames protect the young tobacco plants and creates a more humid growing climate. The Tobacco Valley area is adjacent to the Connecticut River.